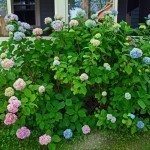 In the spring, I planted some Bombshell Hydrangeas. Throughout the summer they looked great. Now that the summer is almost over, most of the blooms have been spent and most of the remaining blooms are touching the ground. My thought was that I should remove the remaining blooms to allow for the new plants to focus growth on the foliage. Also, does this type of Hydrangea grow off of old stems? Will hard pruning in the spring result in new growth? 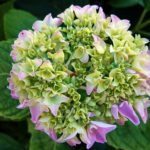 It is actually recommended that you do minimal pruning with this hydrangea. They were bred so that they would not need any pruning, although in the spring you can clean it up a bit if you see some dead branches or for shaping purposes. Other than that, these hydrangea are good to go with pruning.